We get involved in a lot of different things. We can because our Network of partners, directors, associates and customers is extensive and varied. We have the collaborative and focused approach that will help your organisation to be and do better business. Your organisation needs to develop new markets and sources of funding and income to meet its mission and vision. You want to put more social, environmental and economic value and benefits into the business. ou want to develop effective partnerships with businesses and organisations outside your sector, in the EU and beyond. Your organisation wants to demonstrate its value to society, to customers, investors and stakeholders. You see an opportunity to help your community, and want help to develop a service or product idea. Working with an ethical supplier, with a social purpose and a strong track record, is important to you and your organisation. We are a social enterprise with 100% of our profits are re-invested in supporting the further growth and development of voluntary and community organisations. To do this we earn income from a range of services and support, helping other organisations to do better business, be more sustainable, learn, connect and grow. Proven track record in successful proposals and tenders that meet customer needs and demonstrate social value. Identifying funding sources and tenders, and managing all stages of the submission,or facilitating the in house process and bringing external knowledge and perspective. Helping find delivery partners, local or throughout the UK and EU. Research and development of potential new income streams. 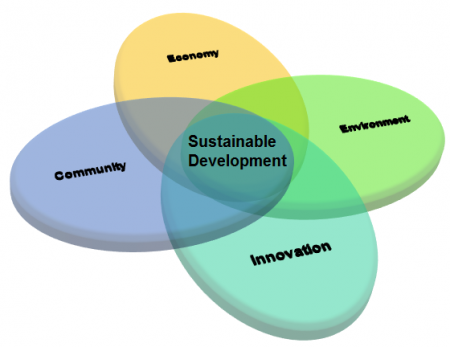 Embedding social and environmental purpose and value into the business strategy and delivery plans. Business development to grow and develop markets and customer base, especially through demonstrating social and environmental benefits. Expert facilitation to help address business opportunities and barriers in delivering the strategy. You can be a social innovator without enabling your team and leaders to be part of that journey. Just like our customers, we believe that people are the most important asset to an organisation. Through our links to Business Savvy (http://www.business-savvy.org/) we are able to offer ILM accredited courses. Learning experiences, guidance and encouragement to help people develop through the workplace. Focus on helping them deliver more socially innovative and responsible business: diversity, equality, social innovation and entrepreneurship. Opportunities that support all people in the business from new starts to board members. In addition, we can offer training programmes about tendering, fundraising and EU programmes. Organsiations and businesses that with a strong social value need to engage people with their purpose. In our experience, this is an important step in helping their organisation be more sustainable. However, as the focus is often on actual delivery, this is often overlooked. We can help plan an deliver actions that will get your voice heard and valued to customers, funders and other stakeholders. Developing the market position. Marketing, including social media, events and advocacy recognise and appreciate the value this brings to them and society. European Union funding in the 2014-2020 programmes continue to play an important role in supporting sustainable economic growth in Scotland. European projects can make a real difference to the work of Scottish organisations, the competitiveness of Scottish businesses and the lives of Scottish citizens. Our EU funding specialists provide strategic advice and project development support. We can assist you in reviewing your ideas and developing the project application. We can also help you with the delivery of the project once it’s awarded funded or we can implement it on your behalf. Independent measurement and assessment of social and other benefits of activities. Reports for funders, investors and other stakeholders. The EDInet Network includes the people and organisations we work with and support throughout Scotland, the UK and EU and is free to join. Members share their experience and knowledge across sectors and boundaries, to help us all develop effective solutions for sustainable and inclusive economic, social and environmental development. The EDInet Team facilitates the Network, and helps active members find productive partnerships. Your commitment is to share your ideas and connections, when appropriate for your organisation, and to help grow the network by recommending others to join.